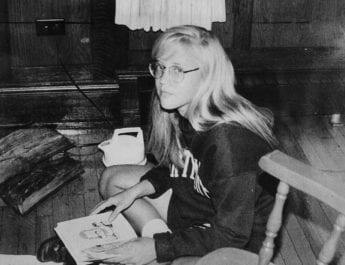 Debbie Buck is a true crime writer from Illinois and founder of True Crime Diva, a site where she writes on unsolved crimes and missing persons. She is also the researcher and writer for the podcast, Criminology. You can follow her on Facebook and Twitter. La Porte, Indiana is a small community about 70 miles southeast of Chicago and is the county seat of La Porte County. La Porte, which is French for “the door”, is a typical small Midwestern town with mom-and-pop shops, tree-lined streets, and plenty of cafes and bars. It is not the place where you would expect a horrible crime to occur, but that is exactly what happened here in 1993. Rayna Rison was born on May 6, 1976 to Ben and Karen Rison in La Porte County, Indiana. In spring of 1993, she was a sophomore at La Porte High School where she received good grades and played three instruments in the school band. She worked three jobs and dreamed of becoming a veterinarian. One of her jobs was working at the local animal hospital where she cleaned kennels and walked dogs. On Friday, March 26, 1993, Rayna, 16, was scheduled to work at Pine Lake Animal Hospital from 4:00 p.m. to 6:00 p.m. Afterwards, her and a boy named Matt Elser were going on a date. The couple had recently broken up and were going to get back together. Matt, who was also a sophomore at La Porte High School, arrived at the animal hospital to pick Rayna up, but she was not there. There were no lights on and the building appeared to be closed. Matt drove by the animal hospital a couple of times, but never saw Rayna or her car. He then drove to Rayna’s house where her father, Ben answered the door and said she never returned home. When Rayna was not home by 10:30 p.m., her parents and younger sister, Wendy went to the police station to report her missing. However, they were told they had to wait 24 hours before filing a missing persons report. Ben insisted to police this was not like Rayna, but there was little police could do at that moment. The next day, Rayna’s family began searching for her. Wendy called people they knew to see if any of them had seen Rayna, including their oldest sister, Lori, who had no idea where Rayna was. The family put up fliers around town. Police made a public appeal for information leading to Rayna’s whereabouts, and it generated a lead. Several witnesses reported to police they saw Rayna outside the animal hospital talking with two men in a sedan. She appeared to be arguing with one of them and witnesses assumed it was a lover’s quarrel. Police thought it was Matt and questioned him first. He told them his story about not finding her at the animal hospital when he went to pick her up. Matt was considered a straight-laced, parent-approved young man. Police had no reason to doubt his story. The next evening, Rayna’s car was found with the hood up on County Road 200 East, nine miles from the animal hospital. Police arrived and thought she may have had car trouble. The keys were still in the ignition, so an officer turned the car on, but it started without trouble. Police believed the car was staged to look like a breakdown. They also noticed Rayna’s purse and a man’s ring in the car. Detectives wanted to know who the ring belonged to and asked Matt if it was his. He told them no and that it belonged to Jason Tibbs, Rayna’s ex-boyfriend. Jason and Rayna dated each other in the seventh grade. The relationship lasted six months before the two broke up. Soon after, Rayna began dating Matt. The detectives tracked Jason down, and he admitted the ring was his. He claimed he was doing some work on her car, took the ring off, and placed it in the car and then forgot about it. Detectives asked Jason what he was doing the night Rayna disappeared. He said he and some friends were “fox hunting’ – a game of hide and seek using cars. The people “hiding” would give clues to their location over the CB radio, and the seeker had to find them based on those clues. Police spoke with the friends and while they confirmed they were playing the game, no one actually saw Jason..
Not long after, America’s Most Wanted aired a segment on Rayna, and police received an important tip that led them to Fail Road. There, detectives found a Letterman jacket about seven miles from where Rayna’s car was found. The jacket belonged to Matt, who had given it to Rayna. On April 26, 1993, a man was fishing with his teenage daughter at a local pond just off Range Road, north of US 20 in La Porte County. She became bored and decided to explore the area around the pond. That’s when she saw something in the water and called for her father. In the water was a fully-clothed body with two logs across its back. 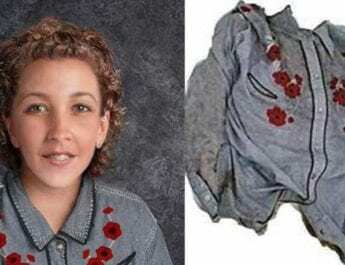 The man called police and when detectives arrived, they noticed the victim was wearing similar clothes to what Rayna was wearing when she went missing. 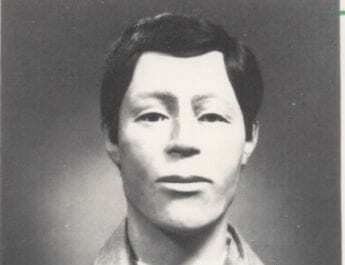 The body was later identified as belonging to Rayna Rison. The coroner performed an autopsy and ruled her death a homicide. Rayna had no cuts or bruises, or anything of that nature and cause of death was asphyxiation. Police were now investigating a murder. Detectives got a tip saying they should look into Ray McCarty, who was married to Rayna’s oldest sister, Lori. When Rayna was 11 years old, Ray started molesting her and two years later, impregnated her. Rayna got an abortion and Ray was convicted of child molestation. He received a three-year suspended sentence in 1991. His probation ended on January 5, 1993, just two months before Rayna’s murder. Detectives interviewed him. Initially, he backed Lori’s statement that neither one of them had seen Rayna the evening she disappeared. However, when he was later alone with police he admitted to seeing Rayna the night she vanished. Ray McCarthy. Credit: St. Joseph County Jail. Around 5:40 p.m. on March 26, 1993, Ray was looking for a house for sale on Warren Street, just around the block from the animal hospital. A witness later confirmed he was there. Ray could see the animal hospital from the house and saw Rayna’s car in the parking lot. So, he went there. Rayna was sweeping or mopping in the foyer. He asked her if she knew where Lori was. She responded that she did not, and Ray left. He also told police he picked up a female hitchhiker that night and that was the reason he did not initially tell police he spoke with Rayna. He said Lori was still untrustworthy of him after he molested her sister. While Ray was considered a person of interest after this, there was no evidence linking him to Rayna’s murder. With no other leads, it seemed the case was going cold. But then a year and a half after Rayna’s murder, Indiana police pulled over a van driven by Larry Hall, and arrested him for attempted kidnapping. In his van, he had newspaper clippings of Rayna and a prescription bottle with the name R. Rison on it. Larry claimed he was the one who abducted and killed Rayna. However, police discovered he was in Kentucky when she vanished, and the prescription bottle was fake. 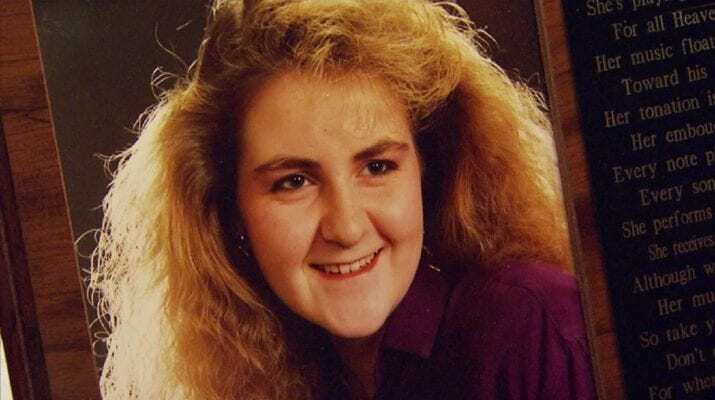 Larry Hall was ruled out as a suspect in Rayna’s case but was later sentenced to life in prison for the murder of 15-year-old Jessica Roach of Georgetown, Illinois in 1993. Larry Hall may have killed 30 to 40 women, including the Springfield Three and Tammy Zywicki. In 1998, detectives working the Rayna Rison case took another look at the men in Rayna’s life. Matt Elser’s story never changed and authorities believed he did not kill Rayna. Jason Tibbs’ alibi of “fox hunting” was not a solid one because people playing the game were in their own vehicles and never saw Tibbs. Then, there was Ray McCarty. Police got a search warrant to search Ray’s property. They found blood in his car and two handguns and a stun gun in his home. They arrested Ray and charged him with murder in May 1998. While he was in jail, La Porte County elected a new prosecutor, Robert Beckman, who decided there was not enough evidence to go to trial. Detectives were never able to determine where the blood came from. Ray was a hunter so it was possible it was animal blood in the car. Beckman dropped the charges against Ray in August 1999, and the case was classified as a cold case. In March 2008, police reopened the case. Ricky Hammons, who was 14 at the time of Rayna’s murder, contacted police saying he had information relating to the case. At the time, he was in prison on an unrelated murder charge. He told detectives he witnessed Jason Tibbs and another man, Eric Freeman pull his sister’s car into the Hammons family pole barn. Freeman was dating Ricky’s sister at the time. When Jason and Eric opened the trunk, Ricky saw a body inside covered by a blanket with the face exposed. He did not realize it was Rayna until after he saw her case on the news. He told detectives he did not come forward in 1993 because he had been smoking marijuana in the barn at the time and did not want to get in trouble. Police interviewed Eric in 2008 and offered him immunity in 2013 in exchange for his testimony. He told detectives he and Jason went to the animal hospital around 6:00 p.m. as Rayna was leaving work. Jason wanted to convince her to get back together. Rayna did not want any part of that, and the two got into an argument. Jason hit Rayna, knocking her to the ground. He then strangled her to death. Afterwards, he told Eric, “If I can’t have her, nobody can.” The two men put Rayna’s body in the trunk and drove to the pole barn, not realizing Ricky was hiding inside. Then, Eric helped Jason dispose of Rayna’s body in a pond along Range road. In August 2013, police arrested Jason Tibbs, then 38 years old, and charged him with the murder of Rayna Rison. He was arraigned on Friday, August 23, 2013. According to court documents, Jason was a person of interest early in the investigation after his ring was found in Rayna’s car. There also were letters from Jason to Rayna seized from her bedroom that stated he would “go to almost any extreme” to be her boyfriend again (Maddux 2013). Trial began in October 2014 and ended just one month later. Throughout the short trial, the defense tried discrediting Ricky and Eric, and focused their attention on Ray McCarty as Rayna’s killer. At one time, Ray had threatened to kill Rayna if she reported their sexual relationship. However, the relationship was reported when she got pregnant and aborted the baby and listed Ray as the father. The jury did not believe the defense’s theory and found Jason Tibbs guilty of murder. In December 2014, Jason was sentenced to 40 years in prison. One year later, his lawyer tried to overturn the murder conviction. However, in September 2016, Indiana Supreme Court voted 4-1 to reject Jason Tibbs’ requests that it set aside the Sept. 8 Court of Appeals decision unanimously affirming his 2014 conviction and order a new trial (Carden 2016). 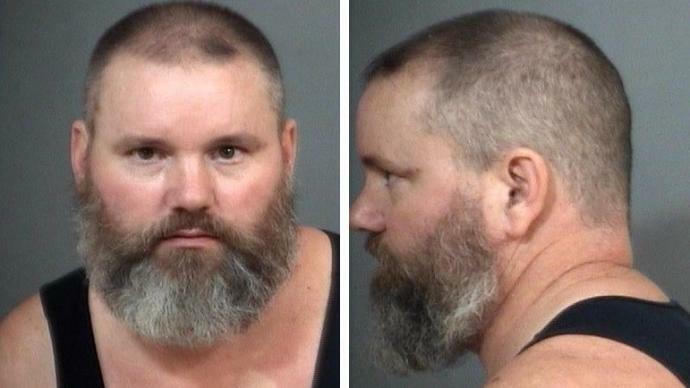 In February 2018, police arrested Ray McCarty in New Carlisle on a preliminary charge of felony battery resulting in serious bodily injury. On February 25, 2018, he committed suicide while in jail. In September 2018, Jason Tibbs sought a new trial if his attorneys could convince the judge one was warranted. They claimed that fibers found on Rayna were consistent with the carpet in Ray McCarty’s vehicle. In addition, the attorneys believed Eric Freeman was coached in his statement to police. As of this writing, no decision on a new trial has been announced. Carden, Dan. 2016. “Justices Won’t Hear Appeal From Rison Killer”. The Times, , 2016. https://www.nwitimes.com/news/local/laporte/justices-won-t-hear-appeal-from-rison-killer/article_2ee490c5-3c35-50d5-b2c0-1cb4e0e8d22d.html . Chang, Annie. 2014. “UPDATE: Tibbs Sentenced To 40 Years In Cold Case Murder Of Rayna Rison”. WSBT. 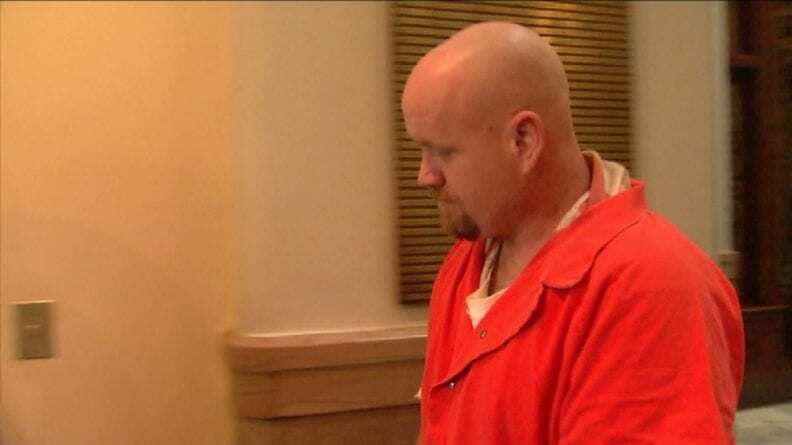 https://wsbt.com/news/local/update-tibbs-sentenced-to-40-years-in-cold-case-murder-of-rayna-rison. Gard, Jon. 2018. “Former Suspect In Rison Killing Dies In Jail Cell”. The News Dispatch. https://www.thenewsdispatch.com/news/article_520321d8-ace5-5532-b376-55069cec2ab9.html. Maddux, Stan. 2013. “Former Boyfriend Of Laporte Teen Arrested In Her 20-Year-Old Murder”. https://www.nwitimes.com/news/local/laporte/former-boyfriend-of-laporte-teen-arrested-in-her–year/article_9e8f6fa9-1dd7-5257-a6ec-21a0c1638a81.html . Unusual Suspects. “Forget Me Not.” Season One. Episode Thirteen. Directed by Douglas Elford-Argent. Investigation Discovery, January 10, 2018.